- Tangled Threads -: Tea....and an award nomination! Congrats dear for the nomination. I have to admit I have already voted for someone else but still wish you good luck too!AriadnefromGreece! The tea sampler is coming along nicely. Congrats on the nomination. Congratulations on your nomination, I voted for you! 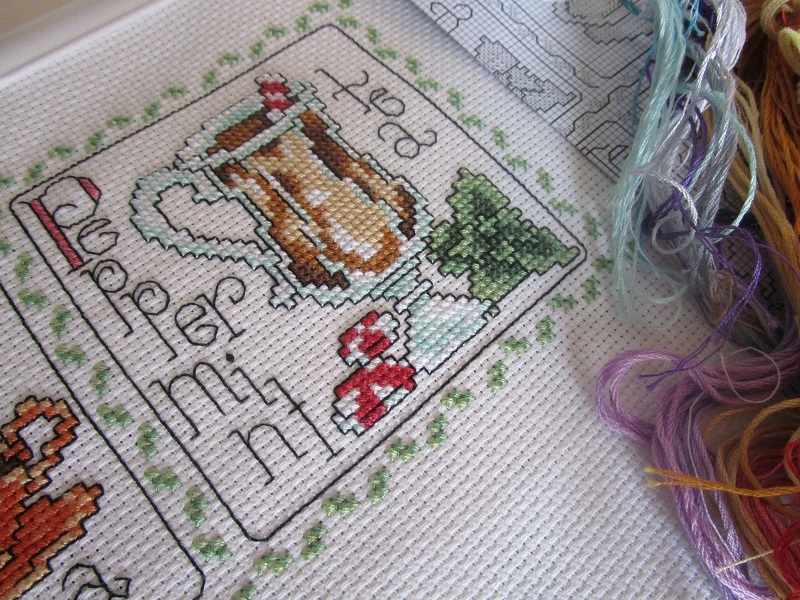 I would've changed the lettering on Peppermint Tea also, though I always feel a little guilty not stitching it as charted. Congratulations on your nomination! An honour for all who have been nominated. I really love the peppermint tea block, in fact I'm enjoying seeing all of the blocks on this design. Each one a mini finish! Lovely end to the Lion brand saga - good to hear of great customer service! Wow an enormous congrats on the nomination, that's spectacular!!! Love the peppermint tea blog, I love me some peppermint tea. 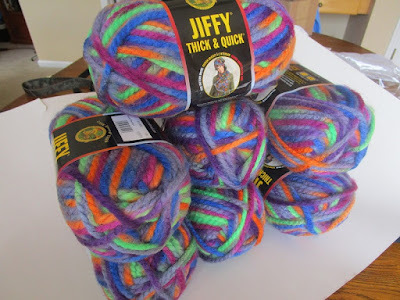 Glad to see you were well looked after by Lion Brand and that you received your yarn! Congrats on the nomination and have fun with the replacement wool!! Congratulations on the nomination. They chose some awesome blogs this year! Lynn from Happiness is... says that all the nominees get invited to the award ceremony. How cool would that be? Are you nominating Lion Brand in the knitting category? Nice work on the tea Sampler. Lovely finish !! 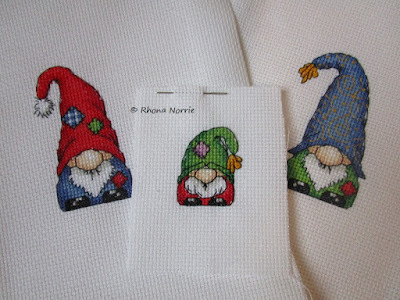 Great that you got the replacement yarn. Love your designs. I am trying to figure out how to get to your Facebook page. Congrats on the nomination and yay new yarn! How cool of them!